What’s ‘In-stock label/In-stock detailed statement’? It is a detailed statement listing the details of in-stock request. 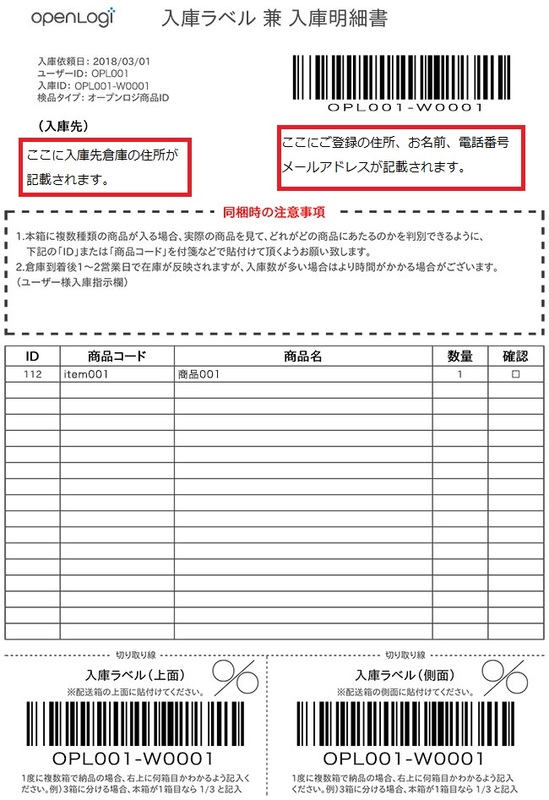 After making in-stock request, it will be available in the PDF output. Please make sure that in-stock detailed statement was included in each box before working on inbound process. We conduct in-stock inspection associating by in-stock detailed statement/in-stock label, mentioned above. Please forward your item once you have confirmed that the actual item and its quantity do correspond the details on the in-stock detailed statement. Which inspection type should I choose? What if I don’t stick in-stock label to a box? Which category should I register? How much are your shipping charges? Can I ask you to refuse to take my inbound item at the warehouse? Are there points to note when the contents of an in-stock request separates into multiple boxes?